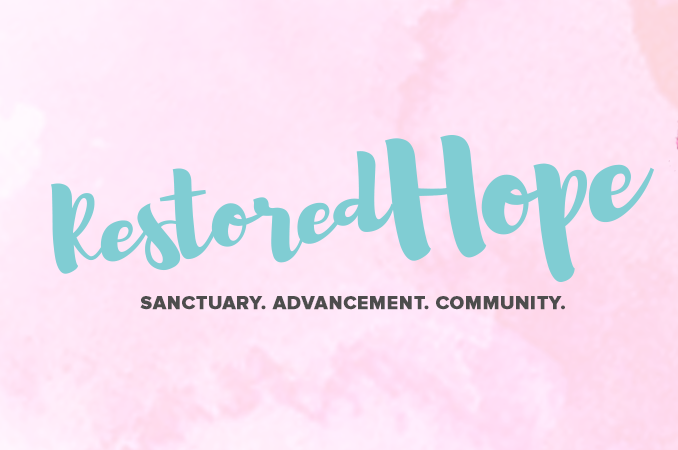 Restored Hope provides sanctuary, advancement, and community to single mothers and their children in abusive environments. They do this by providing them with a safe place to live, help in finding work and transportation as well as sharing the good news of Jesus Christ with each of them. Restored Hope residents come from addiction and/or abuse and often lose hope in accomplishing anything. Restored Hope endeavors to surround these families with love and care in order to help them believe that they can have hope. This is where Journey Church comes in. We want to help meet the needs of the women and children at Restored Hope. There is a constant need for supplies, and also multiple opportunities to serve and teach. 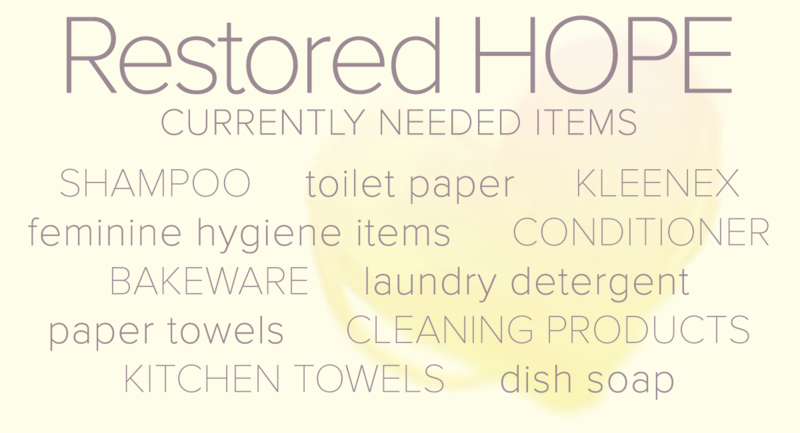 Below is a current list of items Restore Hope is in need of. If you’d like to donate any of these items, you can always drop them off at the information table on Sunday or bring them by the Journey Church office: 20362 Husker Dr.